Presentation files: "What's new for DB2 in IBM i", "Run SQL Scripts & Other DB2 Tools"
Scott Forstie will take you through the DB2 for i enhancements that have been delivered via DB2 PTF Groups over the last year. The DB2 for i development team has been busy as ever, enhancing both traditional and emergent technologies in DB2 for i. Attend this session and you are guaranteed to hear about something new and useful. This is also an opportunity for you to provide direct feedback to the person who owns the DB2 for i strategy, roadmap and more. Give Scott your feedback on how DB2 for i is doing and what you'd like to see added to DB2 for i. This session will also include an update on Navigator for database users. You'll leave the meeting understanding the difference between iAccess for Windows, iAccess for Web and IBM i Access Client Solutions (ACS), as it pertains to a database user. 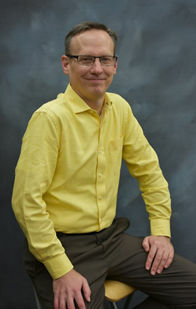 Scott Forstie is a Senior Technical Staff Member at IBM. He is the DB2 for i Business Architect, working on all things related to the database on IBM i. He also is the content manager of the IBM i Technology Updates wiki (www.ibm.com/developerworks/ibmi/techupdates) where IBM i operating system enhancements are described. He can be reached by email or followed on Twitter at @Forstie_IBMi. Scott enjoys running and is an avid cook.